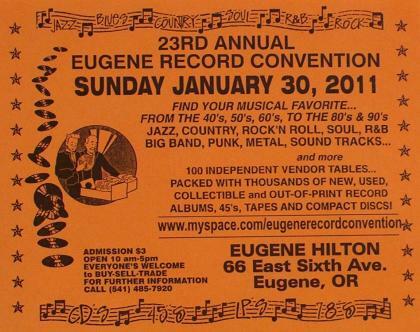 The Sunday Morning Hangover: Bill and Laurie from the Eugene Record Convention Playlist 1/23/11 . Bill and Laurie from the Eugene Record Convention Playlist 1/23/11 . 11:00AM Mel Torme “Pretty Flamingo” from Right Now! Eugene Storefront Art Project on the Hangover!